The Arab League called for the creation of a regional force to combat militants as countries face a growing threat from Islamic State and other groups. The ultra-radical group has taken over swathes of Iraq and Syria and splinter groups in other countries like Egypt and Libya have pledged allegiance to it. Yemen's al Qaeda in the Arabian Peninsula is also very active. The United States leads a coalition that is fighting Islamic State in Iraq and Syria. Washington says Saudi Arabia, Qatar, Jordan and Bahrain have participated in or supported air strikes in Syria. Iran is also playing a major role in fighting Islamic State in Iraq. Egypt, the most populous Arab state, struck Islamic State targets in Libya last month after the militants beheaded 21 Egyptians. But there has been no comprehensive Arab force to fight militants. Previous calls for a unified force have failed to produce results. Speaking at the opening session of an Arab League meeting of foreign ministers, Secretary General Nabil el-Araby called for action. "What is required now and urgently is to look into creating a...multi-national force that is able to look at what unites them in terms of responsibilities in the areas of quick intervention to fight terrorism, the activities of terrorist groups, helping in peacekeeping operations and securing humanitarian operations," he said. It was not immediately clear which countries would join such a force or where or when it would be created. 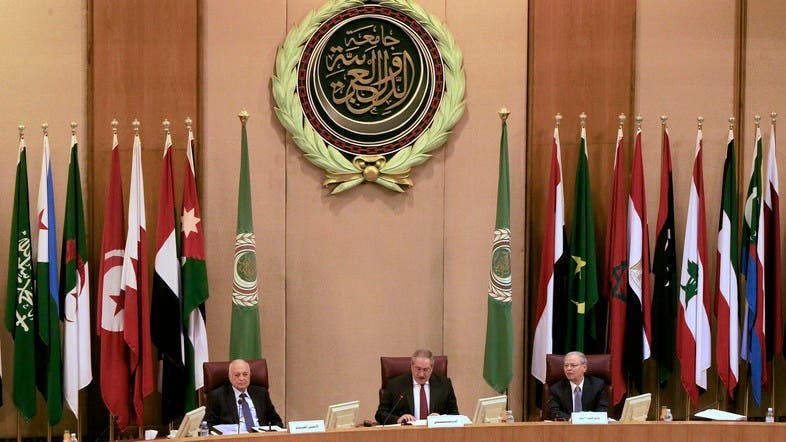 The Arab League is due to hold a summit of Arab leaders later this month in Sharm el-Sheikh.